At Pink Elephant parking you can rest assured that your car is parked safely. Offering an on demand shuttle service that drops you right outside the airport within 10-20 minutes of dropping off your car, you can travel stress free. They can even wash your car, or give it a service while you’re away. Every car park on Parkos has been personally inspected and assessed by one of our staff. The Parkos score gives you a good idea of what to expect from the car parking provider. 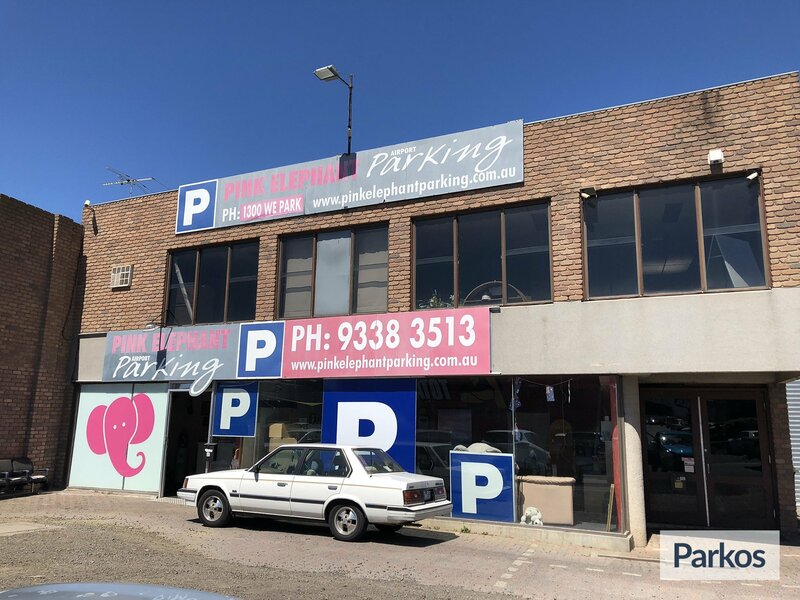 At Pink Elephant Parking you can safely park your car close to Melbourne Airport. Show up at the car park and a member of staff will park your car for you, and then you can take the shuttle bus to the airport in time for your flight. When you choose shuttle parking you drive to the main location and you register at the reception. An employee will park your car in one of the car park spaces, and then the shuttle bus will take you to Melbourne Airport, which takes about 10 minutes if there's no traffic. On the day you return. the shuttle bus will bring you back to Pink Elephant Parkng, where your car will be ready. You can choose between indoor or outdoor shuttle parking. The outdoor area is paved. When you arrive at the main location there will be a waiting room and toilets. On the day of your departure you drive to Pink Elephant Parking. Please call the car park if you have a delay of more than 30 minutes. When you enter the car park you'll need to register at the reception. The shuttle bus is on demand and will get you to the airport in 10 minutes if there's no traffic. You'll recognise the shuttle bus by the Elephant, and the logo from Pink Elephant Parking. After landing you contact Pink Elephant parking as soon as you've collected your bags. The shuttle bus will pick you up at the pickup point, which is a short walk from the terminal. From there you'll be driven back to the car park. If you need to cut your trip short or extend your journey, please contact Pink Elephant Parking by phone to let them know as soon as you can. If you'd like to extend your booking, please note that any extra payments can be settled when you pick up your car.